In a time when labels are scrambling to capitalize on the space Coldplay has left while they record their new album with UK bands like Snow Patrol and Keane it seems fitting that the most suitable replacement should be from California. 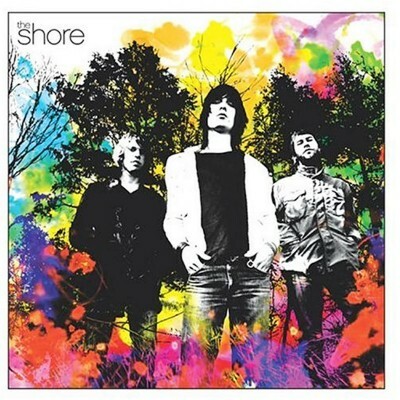 Not that The Shore are going to be confused with Coldplay in many regards, other than a promising debut and a taste for British pop anthems. You see the undeniable truth is that The Shore will escape comparisons to The Verve about as quickly as Interpol ditch the Joy Division references. I suppose you could view this as somewhat redundant but considering The Verve’s absence and Richard Ashcroft’s amazing decent into writing lifeless songs after only two solo albums it also seems pertinent and warmly welcomed. The Shore isn’t a masterpiece, then again neither was The Verve’s debut. It is however a hopeful record that proves there is still some life in American bands who aren’t stuck in their garage. This review originally appeared in Glitter Gutter Trash, October 2004, Issue 190.